Few years ago, the idea of digital sketching would be preposterous for me .Trained as I was in the classical tradition, we were thought that there is nothing that can compare to the pure work of art based on the traditional tools. In many respects it is still true. There is nothing like a good quality watercolours dissolving on a high grade water paper applied with high quality watercolour brushes. In fact it is one of the first lessons I teach in my classes. Use, high quality materials if you really want to feel the difference in the touch and feel when applying them in your work. There is a healthy kind of fetishism in choosing the artists materials and it is no different when a musician prefers a Stradivarius as opposed to a mediocre or low quality instrument. And yet, as with many other ideas related to the use of the new paradigms of the new media and with a steady advancement of the technology allowing fuller and richer imitation of the real life sketching it has become increasingly difficult to resist the many advantages. First. There is the ease of use. Working with a digital pen with an iPad application such as ArtStudio or Brushes for example it is about all you need and if you feel like using your finger, you can skip the digital pen. iPad is about the size of an average sketchbook and with the new iPad Air it is about the same weight so carrying around is not more difficult then a regular sketchpad. 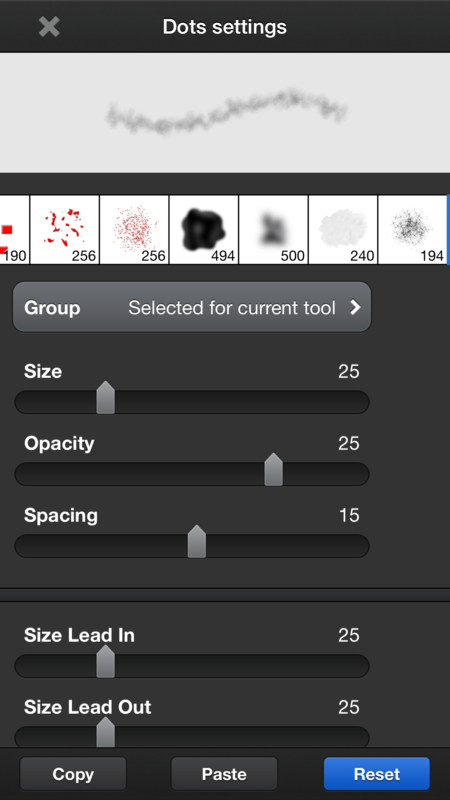 The painting and sketching digital apps, offering a great variety of built in digital tools. A huge variety of pens, pencils, brushes and even air brushes effects. All sorts of textures imitating hard the real life textures of the artists support materials. When I carry around my real life sketching tools, I need a big bag to fit everything in. Pencils, brushes, crayons, pastels, water colours, sketching pad , a small rag, a jar for water, a little bottle of water, etc. All this and more I need to fit into my bag as opposed to having just an iPad . I am sorry if I am starting to sound like a salesperson of Apple but it is simply a matter of personal preference and of course any other digital tool that works for you is equally valid and good. I am not suggesting of course in any way that all this endless assortment of digital art material is equal yet to the real life materials in touch and quality but I am sure it is just a question of time that the difference will not be noticeable at all and I am sure in the not too distant future there will be some added value to the digital feel of a material that will not be based on imitation the real life materials but rather add a unique feel of digital sense which is noticeable even today. If you really want to loose the sense of estrangement, and take advantage of the the many benefits of digital sketching, you must loose the habit of comparing it to the real life materials. 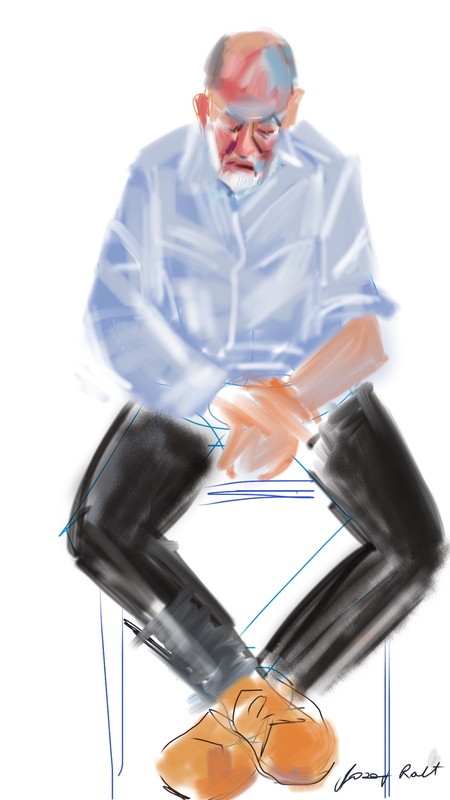 Another huge benefit of digital sketching is the different application of colours. An endless range of colours that are based on the principles of real optics mixing as opposed to additive mixing of the artists paint materials. 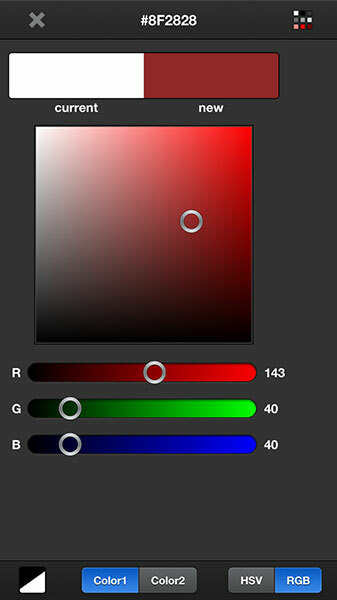 This in itself can be a great value in learning the difference between the dimensions of Tonal Value, the Hue and the Saturation. It means that with digital sketching there is an added benefit in that it can teach you much about the difference of colours deriving from breaking up of the pure white light and colours deriving from pigments. Trying to teach these principles of the difference between colours as light and colours as pigments prior to the appearance of the new digital technologies, was a real challenge. Another big advantage in working digitally is the ability to construct an image in layers. Working with semitransparent layers we can create a very rich textures and blend colours in a unique way which is more appropriate to colours as light thinking. Of course, the more advanced the program we are working with, the richer and more complex art we can create. Programs such as Adobe Photoshop, Corel’s Painter using devices such as Wacom’s CintiQ can create an image that in many ways far surpassing the realism of the non digital painting. Of course, if we add to this the use of the photograph as resource that can be cut and pasted in layers we can get an image that is totally unique and cannot be replicated in a non digital way. Realism is an elusive word. In the realm of Visual Arts it came to mean a photographic image, which has distorted completely the more subtle and more spiritual qualities of an image with the disastrous consequence of associating linear perspective as the only ” real” perspective. At this point I would like to add that it is quite certain we are approaching a time when the difference between the classical, supposedly real art and the virtual will disappear, opening much more options for creative work. 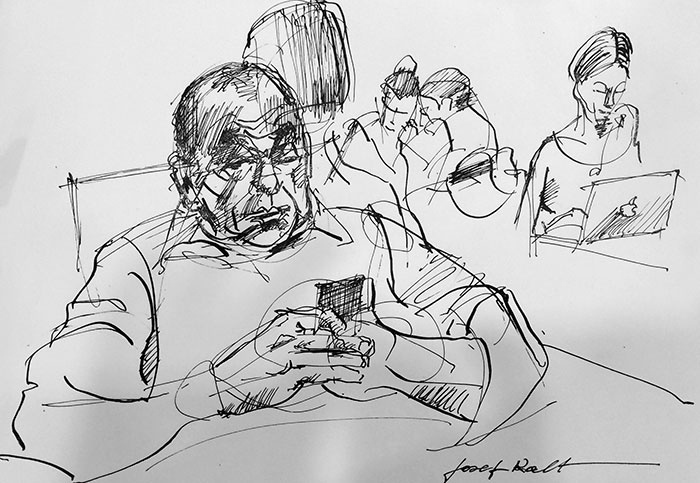 Here is a pen and ink sketch from today with people in a cafe working on their digital devices. Alone but together, each with their choice of size of a screen, sending and receiving messages, working on their projects, sharing information across vast distances, creating together a web of interrelations with endless possibilities for creative thinking, problem solving and entertainment. In my opinion it is easy to see that there is still quite a big difference between the classical tools and the digital and there are still quite a big gap between the two. I could go on and talk endlessly about the many advantages of the digital media as a very useful addition to the artists arsenal of tools enhancing his ability to express his creativity but this is not the purpose of this post. At this time I am rather interested in enhancing the idea that there are many advantages for the classical artists to lose their inhibitions about the digital media and free their preconception about what is good art and what is the difference between virtual and non virtual reality.